Section 1. The name of this organization shall be The United States of America Transactional Analysis Association (hereafter referred to as USATAA). Section 2. USATAA is chartered in the State of California. It shall function as a non-profit organization in compliance with Section 501(c)3 of the Internal Revenue Code (or the corresponding section of any future Federal tax code) of the United States and of comparable tax laws of the State of California. Disseminating Transactional Analysis in the United States or where invited within Academic, Educational, Organizational, Clinical, Community and Faith-based Communities. 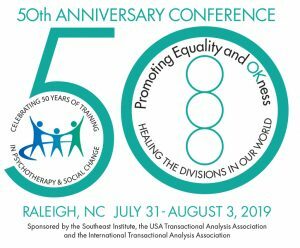 Protecting the use and theory of Transactional Analysis in the United States. Providing learning, practicing and growing opportunities for its members in the theory and practice of Transactional Analysis. 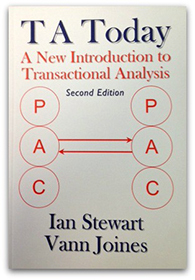 Fostering cooperation with the International Transactional Analysis Association and other TA based organizations. Section 1. Members of the organization shall be those individuals living in the United States of America who subscribe to the theory and practice of Transactional Analysis, have applied for and been accepted as members, and who maintain their membership by paying their annual dues. Section 2. Associate members are those persons living outside of the United States of America who subscribe to the theory and practice of Transactional Analysis, have applied for and been accepted as members, and who maintain their membership by paying their annual dues. Associate members receive all USATAA communications but may not vote at annual or special meetings. Section 1. There shall be a regular meeting of members at least once every three years, at a place, date and time to be determined by the Coordinating Council. The Coordinating Council shall notify the membership of the place, date and time of the meeting, and of the general nature of those matters which the Council, at the time the notice is given, intends to present for action by the members. Other matters may be voted on only if one-third of members eligible to vote are present. If Council members are to be elected, the notice shall include the names of all those who are nominees at the time the notice is given. Notification shall take place not less than 10 nor more than 90 days before the date of the meeting, or, if by notice in the NET, at least 20 days prior to the meeting. Notice by first class mail shall be sent to the member’s address of record and notice by electronic mail shall be sent to their email address of record. Notice may also be sent by any other manner authorized by the then current California Corporations Code. Section 2. Special meetings of members may be called by the Coordinating Council at the written request of a majority of the Coordinating Council or ten percent (10%) of the membership. The Coordinating Council shall notify the membership of the place, date and time of the meeting, and of the general nature of the business to be transacted. No other business may be transacted. If notice is not given within 20 days of receipt of the request, the persons entitled to call the meeting may give the notice. The meeting shall be held not less than 35 nor more than 90 days after receipt of the request. Notification shall take place by placing a notice in the NET at least 20 days prior to the meeting, or by first class mail or electronic message sent to the member’s address of record or email address of record at least 10 days prior to the meeting, or in any other manner authorized by the then current California Corporations Code. Section 3. A quorum at such regular or special meetings shall consist of 10% of the membership of the association present in person or by proxy. Proxies will only be used to establish a quorum. Ballots by mail will be made available on request to those members unable to attend the meeting. A quorum is necessary at any regular or special meeting before a vote may be taken. Section 4. Each regular member of USATAA is entitled to one vote on each matter submitted for a vote to the membership. Voting at duly held meetings shall be by voice vote with the addition of mail ballots where applicable. Election of the Coordinating Council, however, shall be by ballot only if requested by any member. Section 1. The business of USATAA shall be governed by the Coordinating Council with participation of the Advisory Board, in accordance with ARTICLES II, III and IV. Section 2. Final decisions about governance are made by the membership in a meeting of members or by written ballot. The ballot may be sent to members and returned to the Association by electronic transmission, as specified by the then current California Corporations Code. Section 3. TheCoordinating Council shall consist of five (5) members elected by the general membership in a meeting of members or by written ballot and serving for a three-year period on staggered terms. When there are not more candidates for the Council than the number of vacancies, no vote or written ballot is required. The Council shall designate a General Coordinator from among its members. Section 4. The Coordinating Council members agree to undertake the functions and obligations of the Council, including attendance at Council meetings and sharing in Council deliberations and duties. Should a member be unable to carry out Council responsibilities the member shall tender a resignation to the Council. After due consideration, the Council may, with or without such resignation, declare a seat vacant. Section 5. When a vacancy occurs on the Council, the Council members may select a designee to serve as a full Council member pending a vote of the general members in an election at the next meeting or by written ballot. Section 6. The Advisory Board shall consist of six (6) members, each member representing one of the six (6) geographic regions as designated in Section 7. The Regional Representatives will serve a three-year term. If a Regional Representative is unable to fulfill their duties, including attendance at Council meetings, they will secure an alternate to represent their region. This alternate shall serve until such time as the Regional Representative can resume their duties or until a new Regional Representative is selected. The primary duties of the Regional Representatives include : representing their region at Council meetings; coordinating membership activities in their region; recruiting members in their region; encouraging and supporting Transactional Analysis learning activities in their region, and serving as liaison between the Coordinating Council and the members in their region. Whenever possible, it is recommended that the Regional Representative be affirmed by the USATAA membership of their region. Section 7. For purposes of representation and program, USATAA members are grouped into one of six regions in the United States. The six regions are Northeast, Southeast, Midwest, Southwest, Rocky Mountain and Pacific. Section 8. The Coordinating Council shall allocate organization duties, functions, and responsibilities among Council members. The Council shall conduct the business of the organization including, but not limited to, leadership, legal presence, records and reports, finances, program, membership and communication. Section 9. The Council may form task forces from among the general membership as circumstances or conditions suggest. The Council may on an annual basis, name ad hoc members to provide assistance and advice. The immediate past General Coordinator shall be an ad hoc member for a three-year period following his or her term in office. Section 1. The Council shall determined annual dues and notify the members in a timely manner. Section 2. All dues assessed are payable on January 1st of each year unless the time of payment is changed by the Council. Amendments to these Bylaws shall be recommended by the Council and ratified by the USATAA membership in a meeting of members or by written ballot. Amendments shall pass in a meeting of members by a simple majority of the total of the members present and the ballots mailed in by absent members. Amendments shall pass by written ballot when the number of votes cast by ballot within the time period specified equals or exceeds the quorum required to be present at a meeting authorizing the action and the number of approvals equals or exceeds the number of votes that would be required to approve at a meeting at which the total number of votes cast was the same as the number of votes cast by ballot. Amended Bylaws shall take effect immediately unless otherwise stated in the amendment. The rules contained in the current edition of “Roberts Rules of Order Newly Revised” shall govern the organization in all cases to which they are applicable and in which they are not inconsistent with these Bylaws. Section 1. Motions for dissolution shall be evaluated by the Coordinating Council but must be ratified by a majority of the USATAA membership in a meeting of members or by written ballot. Section 2. Upon a dissolution or winding down of this Association its assets remaining after the payment, or provision for the payment of, all debts and liabilities of this organization, shall be distributed in compliance with California law, to the International Transactional Analysis Association, if it is then in existence and exempt under Section 501 (c) (3) of the Internal Revenue Code. No member, Director, officer, employee, or other person connected with this corporation, or any private individual, shall receive at any time any of the net earnings or pecuniary profit from the operations of the corporation, provided, however, that this provision shall not prevent payment to any such person or reasonable compensation for services performed for the corporation in effecting any of its public or charitable purposes, provided such compensation is otherwise permitted by these Bylaws and is fixed by resolution of the Coordinating Council; and no such person or persons shall be entitled to share in the distribution of, and shall not receive, any of the corporate assets on dissolution of the corporation. All members, if any, of the corporation shall be deemed to have expressly consented and agreed that on such dissolution or winding down of the affairs of the corporation, after debts have been satisfied, then remaining in the hands of the Coordinating Council, shall be distributed as required by the Articles of Incorporation of this corporation and not otherwise. A printable list of which states are in which regions is here.